When you think of retirement, there’s usually this clear image of the beach in the background, the sun shining bright, and a refreshing drink in your hand. Even after you decide on the location that suits you best for this next chapter of life, there are many options for residency that may leave you feeling overwhelmed and unsure of where to turn. 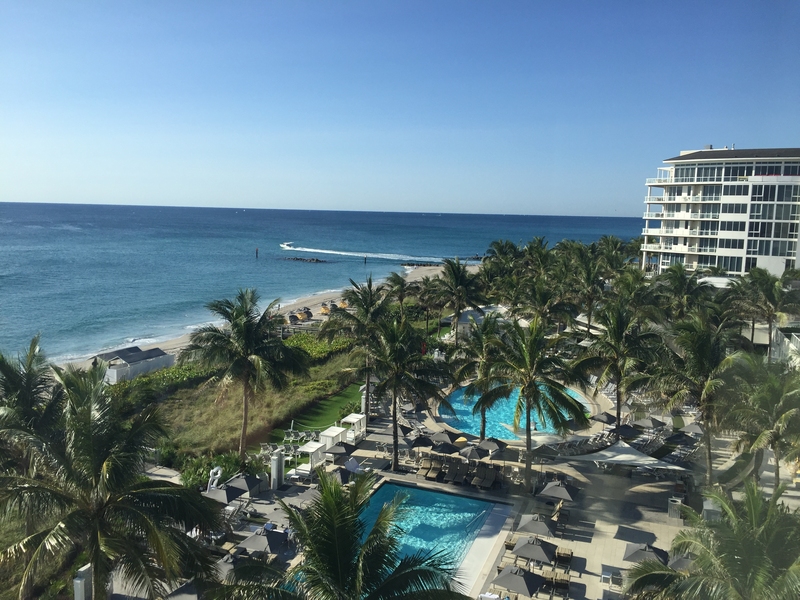 Home to some of the most affluent fifty-five and up communities in the country, the city of Boca Raton, Florida displays a wide range of options for the retirement of your dreams. Allow us to guide you through some of the feature communities here in sunny South Florida so that you are fully equipped in making the best decision for your future. Below you will unfold the top five best fifty-five and up communities within the city of Boca Raton. These neighborhoods each bring their own unique touch to retirement and ultimately rely on your preference when it comes to certain key features or highlighted resident amenities. If you are seeking residency from a fifty-five and up community here in the city of Boca Raton, then you may just fall in love with the luxurious Century Village. As one of the city’s premier retirement neighborhoods, Century Village offers some of the most lavish condominiums for a very reasonable price. Ranging between just under 100k into around the low 300’s, this development presents a moderate price considering these units remain in such high demand. Aside from the homes themselves, one of the main attractions of this community is the 125,000 square foot clubhouse, which holds the key to all the other enticing activities that await you inside. As you enter this new chapter of your life, you deserve to enjoy all of the best things that life has to offer. Instead of seeking adventure outside the parameters of your new home, you will now find everything your heart desires inside. Among this list of activities are ceramics, music, computer classes, competitive billiards, bingo, card games, sewing, as well as arts & crafts just to name a few. Even if you fancy seeing a movie, you may now enjoy this inside their very own theater that seats 1,250 people and shows new releases and live concerts year round. The fun only begins there as you will continue discovering the grandiose party room that holds as many as 900 people. Whether you wish to plan your own soiree or attend one of the many regularly held galas, there are many opportunities to sport your best attire and get your groove on. If you’ve put off building your beach body for many years, then you will relish in the beautiful fitness center which houses all state-of-the-art equipment. They even provide a variety of group fitness classes such as aerobics, yoga, and pilates. There is even an assortment of outdoor activities in place such as fishing or swimming in one of the several heated pools found throughout the community. You can even partake in a casual game of bocce ball, shuffleboard, or tennis within one of the designated courts or locations. This gated community provides twenty-four-hour security and surveillance of the property as well as transportation to a mixture of nearby establishments. This community takes so much off of your plate that you don’t even have to worry about driving if you just so choose. You will even uncover a community area of washers and dryers for all of your laundry needs. As far as the actual homes go, these condominiums typically sport two bedrooms as well as two baths. 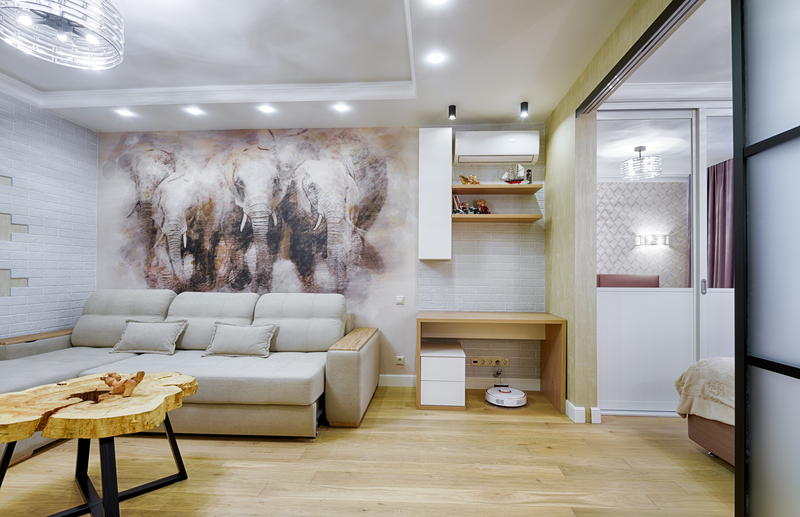 They also furnish about 1,200 square feet of living space, which is perfect for yourself and all of your prized possessions. Each building within this neighborhood consists of three floors with both stairway and elevator accessibility. Many of these units are up to date, displaying home features such as granite countertops, new cabinets, stainless steel appliances, and tile in kitchen. Whether your home exhibits a patio or balcony, each comes fully equipped with a picturesque lake view for your everyday indulgence. In order to keep everything running smoothly within this active living mecca, the homeowners association fees will run you around $500 a month. Which is a very moderate price considering all that is put in place for your overall convenience and optimum enjoyment. If privacy and sophistication are at the top of your priority list, then you will definitely have to check out Whisper Walk. This fifty-five and up community presents 1,446 homes dispersed throughout five different sections. This neighborhood is all about the scenic views, with nine breathtaking lakes found throughout each segment of this tropical paradise. This is your time to shine and enjoy all of the finer things of life, which definitely do not include all the daily monotonous responsibilities of your past. Here at this resort-style development, you may actually begin to forget that you reside in Boca Raton, Florida and start thinking that your new home exists in Aruba. These luxurious condominiums range between just under 100k and the mid 200’s. The upkeep that comes along with these attached homes is probably one of the most valuable assets of this life investment. Socialization is also one of the themes of this community, with plenty of resident amenities and activities to get you involved in all the hype. Throughout this active neighborhood, you will discover five grandiose swimming pool locations with spas, shuffle ball courts, and even a few handball courts as well. Along with the general resident amenities, each section also includes its own individually private amenities. These include five spacious clubhouses with multi-purpose rooms, four pickle-ball courts, as well as eight tennis courts. There are even a few designated barbecue areas to either host your own picnic or attend one of the frequently scheduled community events. Whisper Walk also hosts a few social groups that take the liberty of planning many events to keep the fun and excitement flowing throughout this happening development. Each individual subdivision of this community boasts their own association however, there is also Whisper Walk Inc. (INC) who controls the common areas within these sectors. With homeowners association fees of around $250-400 a month, this not only takes care of everything previously mentioned, but they also handle personal lawn care as well as maintenance of the enchanting landscape that decorates this community in paradise. With less responsibility on your plate, you now have time to fully utilize every second of your day exactly how you see fit. Homes in this development provide anywhere from 1,000 to 2,000 square feet of more than comfortable living quarters. Sporting as many as one to three bedrooms as well as one to two baths, these condominiums, and other attached homes present an array of opportunities for size accommodation as well as style. Built between the years 1982 and 1992, this community holds an outstanding reputation in the city of Boca Raton. From the moment you pull up to the guard manned gates in both entrances, you will begin experiencing the true tranquil ambiance that continues drawing people to this eloquent active living community in South Florida. As one of the up and coming premier fifty-five and up communities here in Boca Raton, Boca Flores presents buyers with the opportunity to create and design their dream retirement home from the ground up. This community features midsize homes at a very competitive price, especially considering you are moving into a brand new home of your choice. Condominiums in this neighborhood start around the high 300’s and range all the way to the high 500’s. The hype of this community lies within the concept of maintenance-free living in a nontraditional style active living development. These two and three bedroom attached homes not only offer a variety of styles and designs to choose from,they also include your own outdoor space to interact with as you see fit. You never know, there may be a fueling desire for gardening deep down inside that you’ve just never had the opportunity to explore. The best features of Boca Flores lie within the private resident amenities and activities. You may never need to leave the comfort of your community once you explore all that awaits within the parameters of your new home. The focal point of this developing community is the lavish clubhouse that features a meeting room where residents can handle matters of either business or pleasure. If you fancy the beautiful Florida sun, then you will love the glistening swimming pool equip with its own shady cabana. As far as outdoor activities ensue, residents may also enjoy a bocce ball court as well as a walking trail that leads to the nearby Passive Park. The highlight of amenities here is that owning a home in Boca Flores also grants you membership to Boca Lago Country Club. 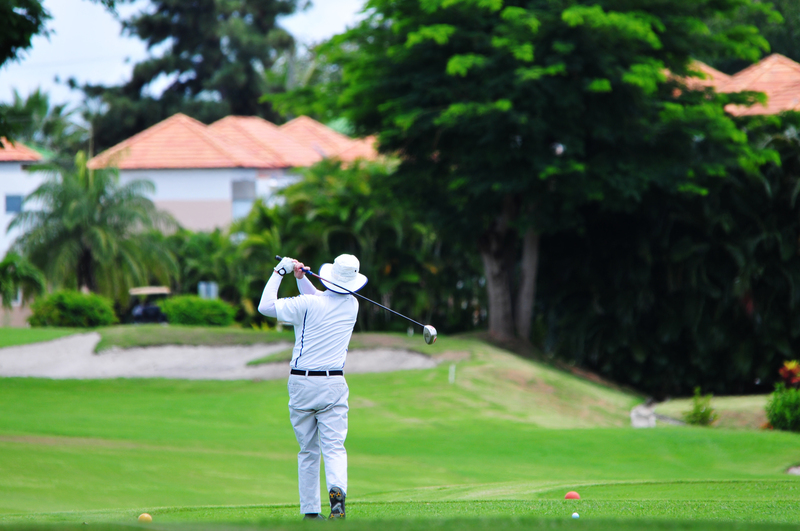 Aside from all the dazzling features of this developing utopia, you can also explore the likes of one of Boca Raton’s most sought out country clubs in the greater South Florida area. Built and designed by the prestigious Pulte Homes, construction on this neighborhood began a few years back in 2017. The general plan for this community includes the development of 130 either attached homes or condominiums. These luxurious attached homes weigh in at almost 1,600 square feet and will feature two and three bedrooms, two baths, and a spacious two-car garage. The condominiums offer a variety of floors plans that will provide anywhere from just under 2,000 to almost 2,600 square feet of comfortable living space. These models also feature two and three bedrooms, two baths, as well as a two-car garage. Some of the standard home upgrades also consist of a dual sink vanity, gourmet kitchens, a lanai, and walk-in closets. Homeowners association fees for Boca Flores are not exact considering each individual home that is built comes with a different price. Estimating at around $400 a month, these fees will include all outdoor maintenance, such as hedge trimming, lawn mowing, and general upkeep, so residents can fully bask in every moment of their well-deserved retirement. As a retiree, one of the main attractions for your future days may lie within the realms of a fancy country club. From golf courses, to staff that is ready to wait on your every desire and need, these luxury establishments can leave your pocket running a little dry if you’re already spending money to live somewhere else. Well not here at the captivating Boca Lago, where you can enjoy active living and country club amenities all in one place. From the moment you set foot on this extravagant property, your eyes are immediately drawn to the lush tropical landscape found on every corner of this prosperous community. This grandiose development consists of eight subdivisions made of up of 1,696 condominiums, villas, and townhouses ranging between the mid 100’s and high 300’s. Aside from holding a location that brings you close to all the major attractions of Boca Raton, Boca Lago also presents a plethora of resident amenities and activities to keep you in the arms of excitement. As one of the community highlights, you will find one of the best golf course greens in the city. Many people pay for country club memberships in this neighborhood for the golf course alone, which you now get to enjoy at your leisure should you decide to purchase a membership as well. Found in the heart of this community is a bustling clubhouse that features a breathtaking health and wellness center. You can adhere to all of your workout and exercise needs along with attending Zumba and yoga classes at the aerobics and dance studios. Once you complete your workout, residents like to relax in the sauna for a little extra body detoxification. The clubhouse also includes three dining areas that offer casual and fine dining as well as a hopping bar and lounge. Here you will also find an activities center, card room, game room, and pro shop for all of your golf attire and accessory needs. Other outdoor amenities include an Olympic-sized swimming pool, tiki bar, and an array of professional level tennis courts. In order to keep everything functioning at this level of excellence, the homeowners association fees will run you around $380-630 a month. This is quite a decent price considering the fact that you are experiencing resort-style service and maintenance on a consistent basis. Built by the prestigious Frankel Homes, construction in this neighborhood began around the year 1978 to approximately 1990. The condominiums in this community offer around 1,100 to 2,400 square feet of comfortable living space. These units present two and three bedrooms as well as two or two and a half baths with lot parking in front of each building. Then there are the attached villas that offer single-level living with around 1,300 to 2,900 square feet of space. The offer two and three bedrooms, two baths, as well as an attached one-car garage. Last but, certainly not least, are the two-story townhomes that present anywhere from 1,200 to 2,900 square feet of lavish living quarters. Offering two or three bedrooms as well as two or three baths, these homes also include a parking lot space for your precious vehicle of choice. Living in Boca Lago goes beyond holding residency, this community offers a lifestyle that some deem as priceless. From social events to celebratory parties, living in this active and private fifty five plus country club establishment facilitates the retirement of your dreams. Forget all of your troubles and worries of the past because here at Boca Lago in Boca Raton, Florida, you will be living at the highest of standards each and every day for the rest of your life. The cap to our top five feature fifty-five plus communities here in Boca Raton is none other than the exceptional Sabal Ridge. These astonishing apartment display impeccable architecture, spacious interiors, and a wide assortment of resident amenities that will mesh well with your active retirement. The well-kept exterior of this community is a true testament to the standard upheld by the staff that facilitates the maintenance and production of this bustling neighborhood. Closing in at around the 800’s to as high as 3.5 million, these apartments are the cream of the crop as far as active oceanfront communities go here in Boca Raton. Once you set your sights on this luxurious community, you will continue falling in love with all of the enticing discoveries. Some of the resident amenities include a state-of-the-art fitness center that houses LifeFitness Cardiovascular Machines and Vectra Strength Training Equipment. You will also find a full-service resident business office that includes computers and high-speed internet. If you fancy a cup of coffee and a comfy chair to enjoy a nice book, you can do so in the Grand Club Room. The fun continues outdoors with two resort style swimming pools as well as a few shallow ones for the kiddies. You may also enjoy a nice Saturday afternoon barbecue at one of the two picnic pavilions with designated grill areas. If you happen to get a visit from the grandchildren, then they will love the two Tot Lots and playground areas built for their extended fun and entertainment. Sabal Ridge has truly thought of every aspect of living and you can see this directly in the two covered car care centers located on the property. There is also a game and activity room equipped with a Nintendo Wii system, computers, crafts, and so much more. Convenience is definitely the theme of this community with a central laundry station filled with large capacity machines for resident use. Throughout the neighborhood, you will also discover WiFi “Hotspots,” walking trails, and a beautiful assortment of tropical landscaping. Considering all the prime time amenities that Sabal Ridge offers, the homeowners association fees start around $2,800 and end near the $3,000 area. Although these weigh in on the heavier side, there truly is no price that you can put on living a life full of convenience steps away from the beautiful Atlantic Ocean. They’ve thought through just about every facet of convenience for your ultimate retirement enjoyment here in this active fifty-five plus community. Homes in this community present spacious two, three, and four bedrooms floor plans with two full baths. Built in the late 1960’s, Sabal Ridge holds an outstanding reputation in the city of Boca Raton as one of their top active living communities in the greater South Florida region. These homes also feature granite-like countertops in both the kitchen and bathrooms as well as Black GE Energy Star appliances and built-in microwaves. There are walk-in closets in all the bedrooms which either include ceramic tile floors or certified green label berber carpet. Select units event feature picturesque water views that take these already breathtaking residences over the edge of satisfaction and true home fulfillment. You don’t know what living is like until you experience everything and more at this retirement utopia, also known as your new daily reality. If you have your retirement sights set on the city of Boca Raton, Florida, then it is clear that there are an assortment of high-class selections to choose from. Whether you desire building your next dream home fresh from the ground up or having a country club onsite, these active fifty-five plus communities are coming in strong with all the luxuries that you deserve in this next chapter of your life. Here at Chance Reality, we will assist you in finding the perfect match that hits every note on your priority list. Allow us to make this transition a breeze as we show you around and help you uncover the residence you can now call paradise. Please feel free to give us a call at your convenience so that Chance Realty can put you one step closer to basking in all the rays of retirement sunshine. Call us now at 561.306.6372 or click here to search listings!